Ok so for Valentine’s Day I wanted to make heart-shaped brownies and sugary sugary cookies and drink wine and gab for hours. Well I did gab for hours on GALENTINE’S DAY! 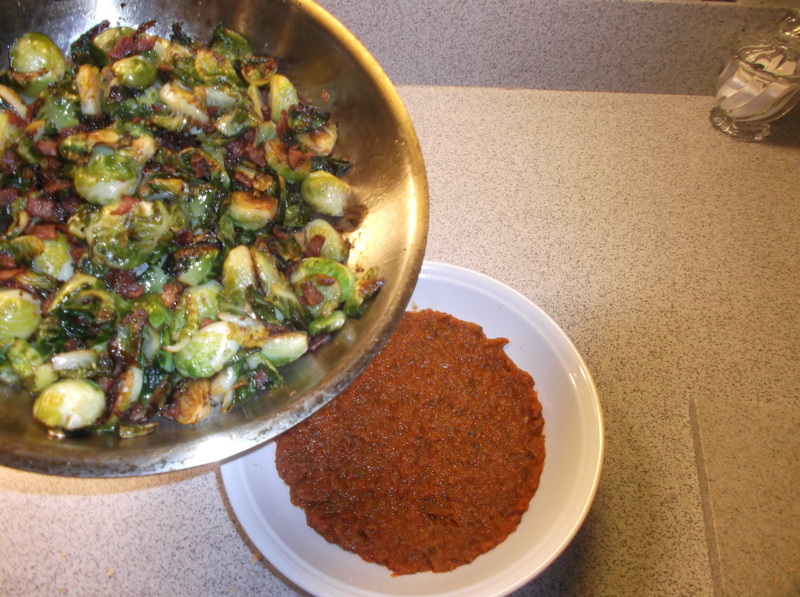 But for the amount that I’ve been baking lately, these brussels sprouts are a savory that really stands out. And it’s a secretly easy dish. Do you ever have those moments in your life where you stop breathing because you almost wonder if life could be that sweet…and you look over your shoulder to see if anyone else is going to burst your bubble? These brussels sprouts will make you look over your shoulder to see if anyone else is seeing just how simple the recipe is when it seems so exotic. 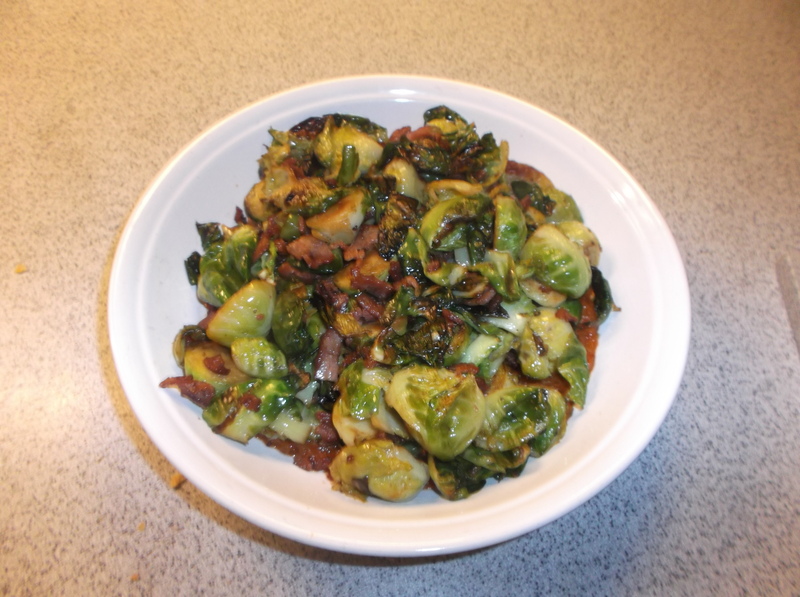 Usually I really like brussels sprouts with a sweet and salty hint, but these are more of a salty and tart combo, it’s complex! Sophisticated right? Also, two things I realized this week that I hadn’t remembered: Joey Fatone is in My Big Fat Greek Wedding and that Butter Pecan is a way underrated ice cream flavor. Random side note aside, let’s explore these greenies. Turn on the oven to 400 degrees. 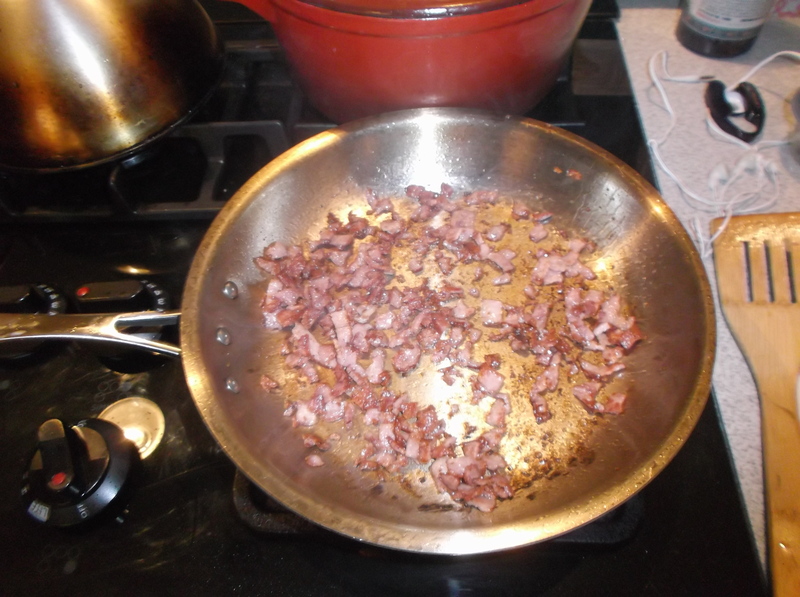 I sliced up about 3 pieces of turkey bacon and fried them in a little bit of oil (due to their lack of a lot of fat they have been burning in the saute pan). 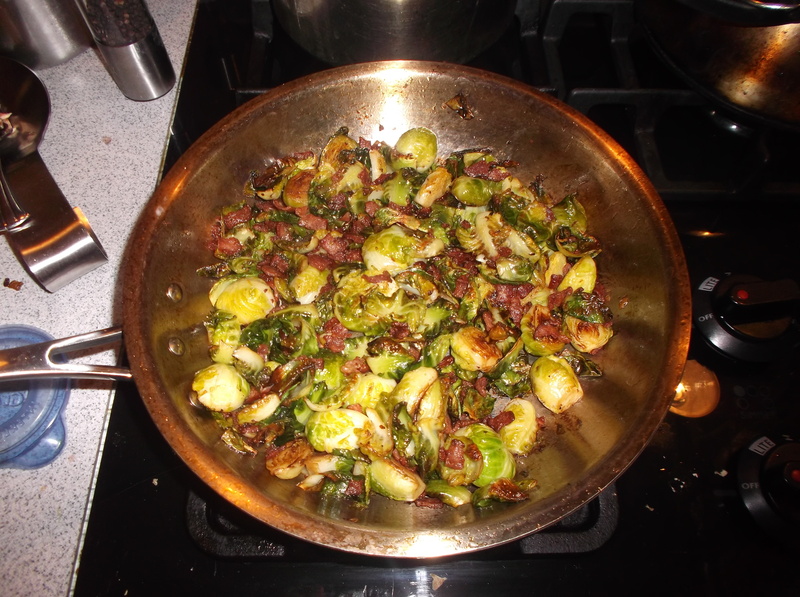 While chopping up the bacon, I sliced off the brussels sprouts’ “butts” and sliced them in half. The timing works out peeps, don’t be in a rush. Ok, bacon’s cooked! 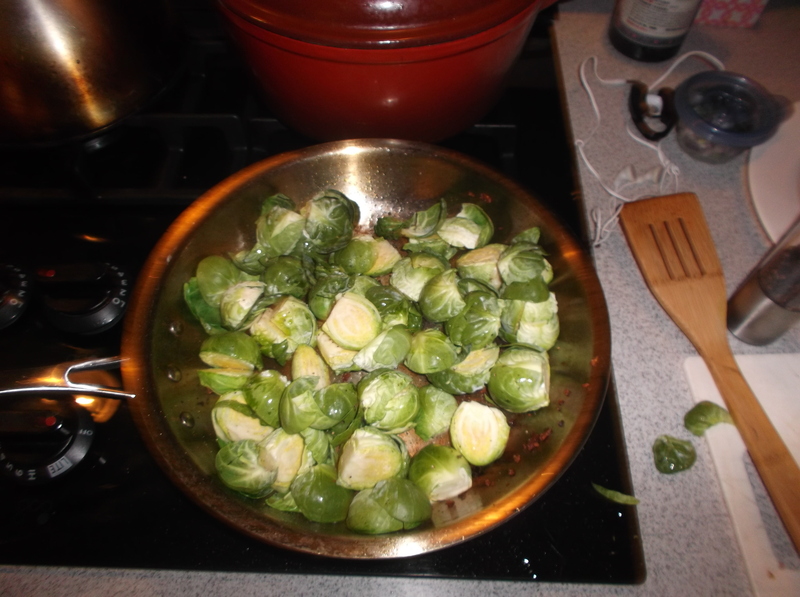 Take it out with a slotted spoon and then add in your brussels sprouts. Add some oil to the pan if these guys are a little bit dry and sprinkle with salt and pepper. Let them get a little golden browny in the pan then transfer to the oven. Here’s where I differ from the New York Times. I let them turn green and roast for around 15 minutes but I wanted them a little crispier, so I set the oven rack on the top rung and turned up the heat to broil for a minute or two. But if you don’t want them super crispy, I think 12-15 minutes is enough time. While these are cooking, go ahead and puree your kimchi. 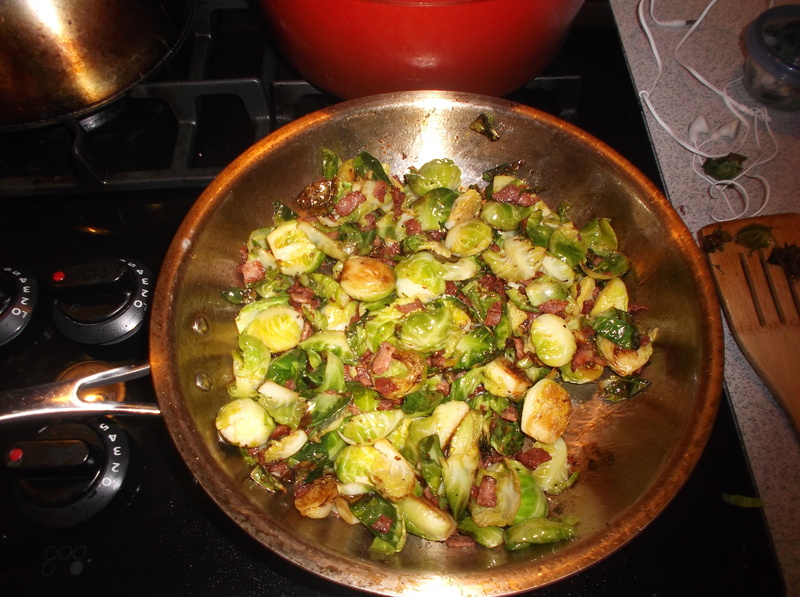 Put it in a bowl and set aside for when the brussels sprouts are ready. Bacon is added back in with some butter, mmmmm. Then off to the kimchi, hello Korean goodness! Serve aside this delicious slow-roasted salmon! Katie, Thanks for a great meal last night. How funny that I hadn’t seen this blog and we were talking Kimchi. I will definitely try this and the salmon sounds great. P.S. My dad has always loved butter pecan ice cream!